Types of glaucoma with signs & symptoms — The most common type are open-angle glaucoma with less common types including closed-angle glaucoma and normal-tension glaucoma. Open-angle glaucoma — develops slowly over time and there is no pain. Side vision may begin to decrease followed by central vision resulting in blindness if not treated. Closed-angle glaucoma — can present gradually or suddenly. The sudden presentation may involve severe eye pain, blurred vision, mid-dilated pupil, redness of the eye, and nausea. Vision loss from glaucoma, once it has occurred, is permanent. For eye pressures a value of greater than 21 mmHg or 2.8 k Pa is often used with higher pressures leading to a greater risk. However, some may have high eye pressure for years and never develop damage. Conversely, optic nerve damage may occur with normal pressure, known as normal-tension glaucoma. The mechanism of open-angle glaucoma is believed to be slow exit of aqueous humor through the trabecular meshwork while in closed-angle glaucoma the iris blocks the trabecular meshwork. Diagnosis — is by a dilated eye examination. Often the optic nerve shows an abnormal amount of cupping. Treatment– If treated early it is possible to slow or stop the progression of disease with medication, laser treatment, or surgery. The goal of these treatments is to decrease eye pressure. A number of different classes of glaucoma medication are available. Laser treatments may be effective in both open-angle and closed-angle glaucoma. A number of types of glaucoma surgeries may be used in people who do not respond sufficiently to other measures. Treatment of closed-angle glaucoma is a medical emergency. 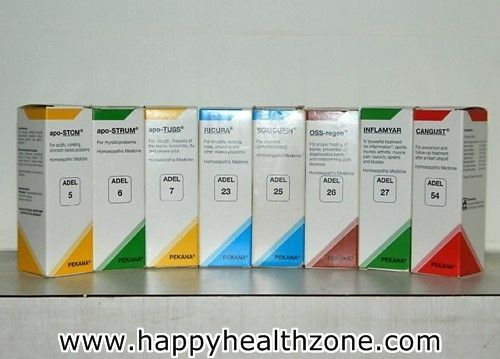 There are so many medicines available in homoeopathy for treatment of glaucoma. Following are given some medicines, which are helpful in treating glaucoma. But one must consult a homoeopathic physician for proper selection of medicine according to patient’s individuality / constitution. Phosphorus — for Glaucoma with optic nerve damage / (atrophied). The main symptom guiding the use of this medicine is tiredness of eyes all the time. The eyes seem very tired even when they are not engaged in much work. The eyes seem to be exhausted, the vision is blurred and the patient feels that every object is under the cover of dust when he or she looks at it. Halos around light are also an important symptom, the slightly improved vision by shading the eyes with hands. By doing this, the objects that look blurred seem somewhat clear. Homeopathic medicine Phosphorus helps in improving the eyesight and the fatigue of eyes. Comocladia — for Glaucoma with fullness sensation in eyes. Amongst the homeopathic remedies for Glaucoma with pain, Comocladia is indicated in patients, who experience a fullness sensation in eyes. The fullness is mostly accompanied by pain in eyes. The eyes feel much enlarged. The eye pain gets worse by warmth and such a person feels relief in pain and eye fullness in open air. Physostigma — for Glaucoma following injury. For an effective Homeopathic treatment of Glaucoma following injury, Physostigma is the best medicine. The symptoms may be dim vision, blurring of vision or partial blindness. Along with dim vision, the patient may suffer from pain in eyes. The pain is usually worse after using the eyes. Patients of Glaucoma with myopic condition also respond well to this Homeopathic medicine. Osmium — for improving dim vision. The intraocular pressure is raised in persons needing Osmium. The important symptom listed by the patient is the display of various changeable colors of an object when looked at from different angles like a rainbow (iridescent vision). The patient may also have intolerance to light. Prunus Spinosa — for sudden pain in right eye of Glaucoma patient. Prunus Spinosa works mainly for right eye pain. Pain in eye is so acute and violent that it results in a bursting sensation in the eyeball. Cedron — for severe pain in left eye of Glaucoma patient. In contrast to Prunus Spinosa, the action of Homeopathic medicine Cedron is centered on the left eye of a Glaucoma patient. Cedron is the ideal Homeopathic remedy for severe, violent pain in the eye, especially left eye. The onset of pain may show certain periodicity in its occurrence. The pain may show radiation to the nose.